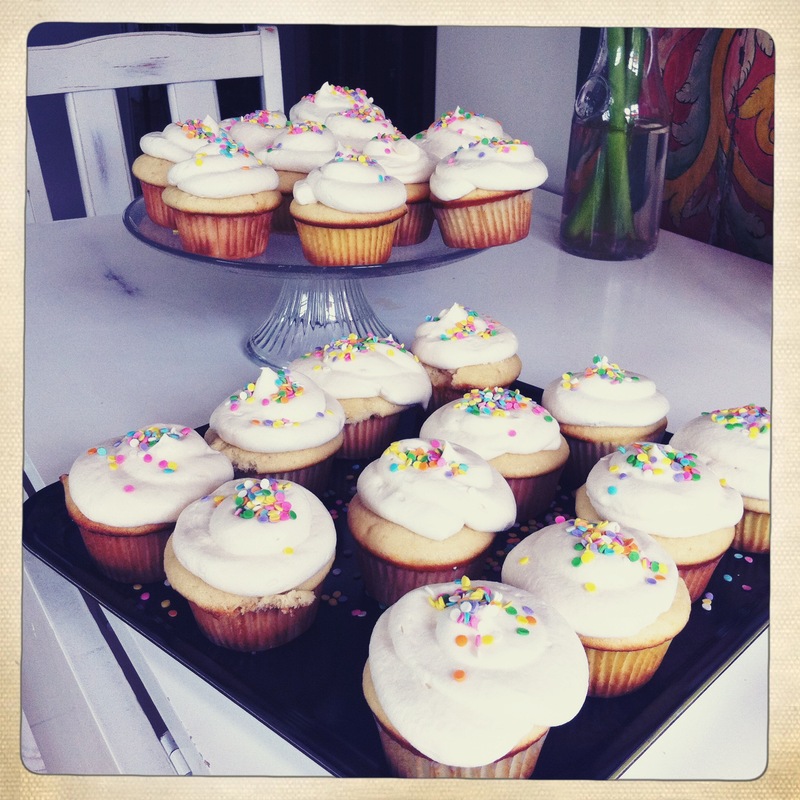 Vanilla Easter Cupcakes with Vanilla buttercream frosting. And sprinkles! The first batch I made did NOT turn out well. Cupcake DISASTER! And it was from Martha Stewart’s sight no less. BAD MARTHA…BAD! (http://www.marthastewart.com/255457/billys-vanilla-vanilla-cupcakes) And who is this Billy person anyway?? This more successful recipe was taken from Amy Sedaris of all people: http://www.epicurious.com/recipes/food/views/Amy-Sedariss-Vanilla-Cupcakes-236125 A woman/actress/comedian/author/baker after my own heart! Don’t let her fool you though….her vanilla buttercream frosting is the same one one the back of the powdered sugar box! Don’t mess with a classic I guess.